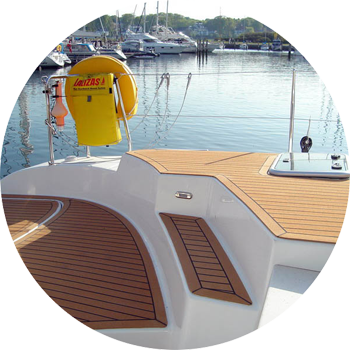 Flexiteek - has the look of real teak with benefits! Flexiteek is a partially marbled sand composition. 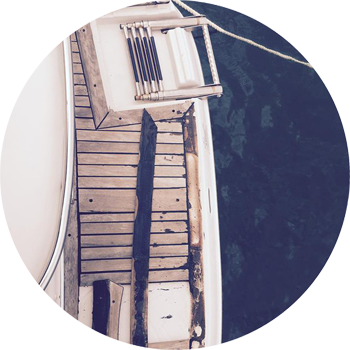 This walking surface is easy to maintain and provides a modern and accomplished look of your boat and, most importantly, it is “slip resistant”. By selecting Flexiteek you help to preserve the rain forest and in addition to that it offers many advantages comparing to regular wood, because it does not turn grey, cools down faster than regular wood and is easy to clean using a pressure cleaner. Actual colours may differ from the colours on the screen due to screen limitations and variation of colours. 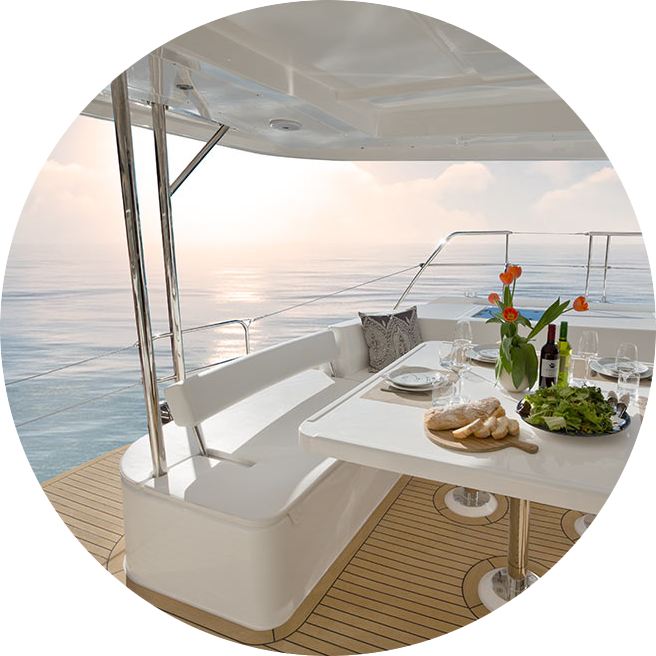 Would you like to see how Flexiteek looks like on a boat? When purchasing Flexiteek you can choose from several options. The first option is to purchase the material and perform welding and installation on your own. The second option is to send us a model of your surface, based on which we design the final product and prepare it for installation. Or you can leave the entire preparation of Flexiteek to us. We will weld Flexiteek, come to you and install it on the surfaces desired. Flexiteek is the leading synthetic walking surface patented all over the world. There are many copies of the material on the market, but none of them has proved as satisfactory as Flexiteek. It offers an incredible grip with dry or wet surfaces, even in the most challenging conditions (ASTM D 4518). The material preserves its color over time, does not turn grey or obscure. Furthermore, it is UV-resistant (ASTM G 154-00). 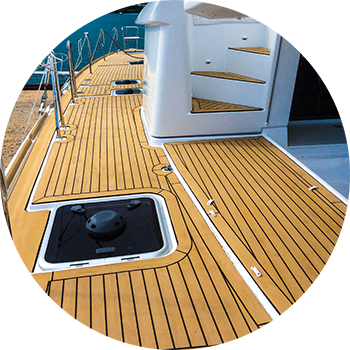 Another advantage of the material is its simple maintenance, as Flexiteek does not require oiling and resilient stains such as fuel, oil, red wine, blood etc. can simply be removed by soap and water. 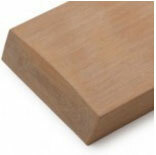 Any stubborn stains can be removed by sanding Flexiteek off by using sand paper with a 40-60 grit. Flexiteek is not bolted. This prevents breaking through the deck during its installation. 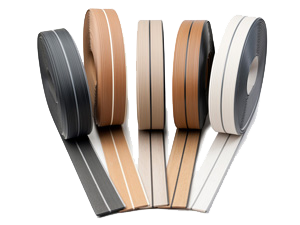 Welding the stripes together ensures a waterproof surface, furthermore, Flexiteek has an excellent acoustic insulation and reduces the noise level down to 11 dB. The material has a low combustibility rate (AS / NZ 53837) and can be recycled. 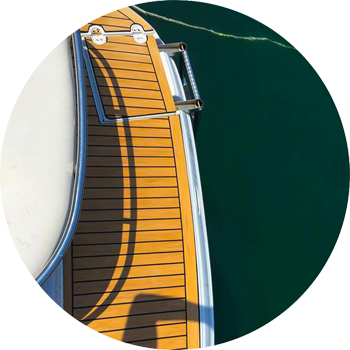 Can be used for different purposes, such as for walking surfaces on a boat, for bathrooms or swimming pools.